This is a rectangular Friendly Glass Prohibition porcelain sign. This particular Friendly Glass Prohibition sign is white with black text. 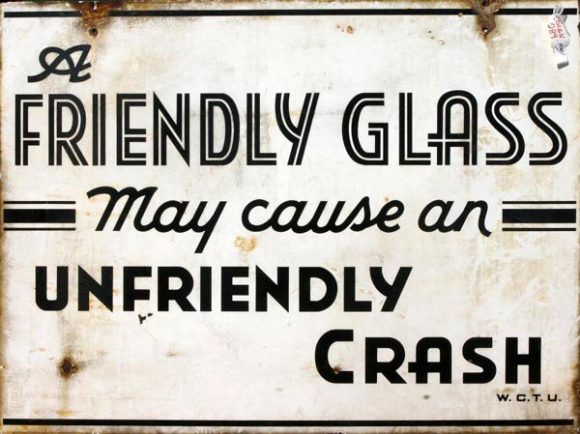 It reads, “A Friendly Glass May Case An Unfriendly Crash”.